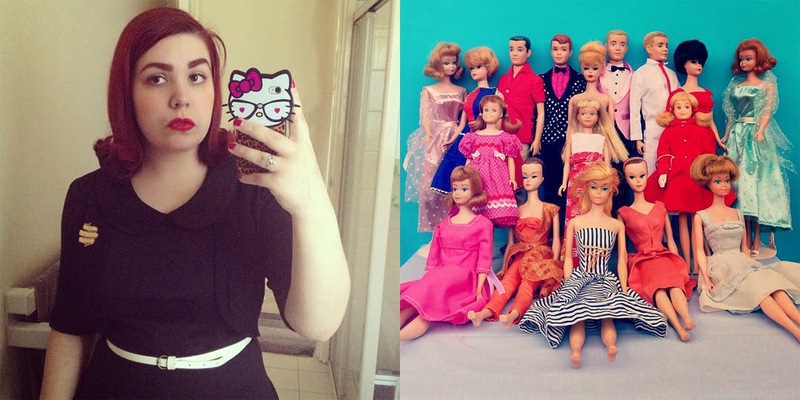 L: mirror shot of my Halloween costume; R: Betty wanted her own Abaddon costume! 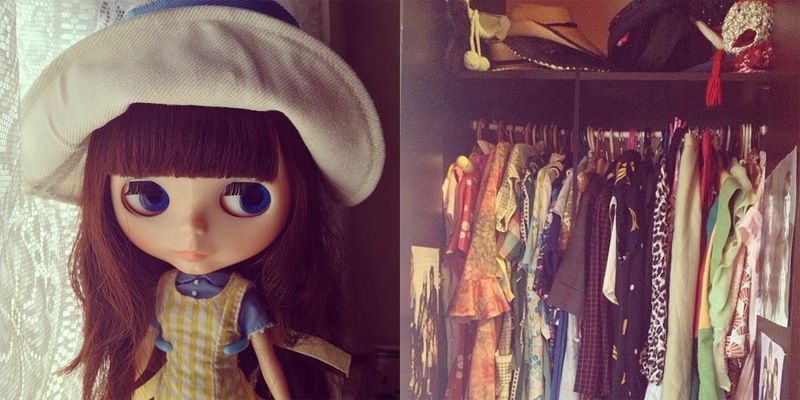 L: a new Blythe friend I've named Trillian; R: my wardrobe is overflowing! 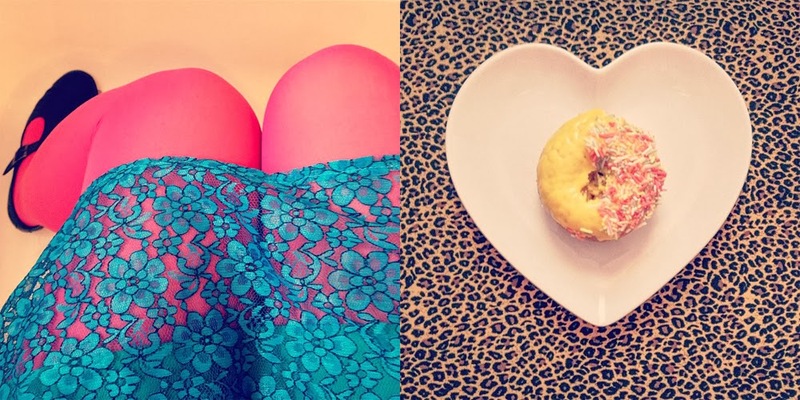 L: Bright tights and dress; R: yummy donut treat. 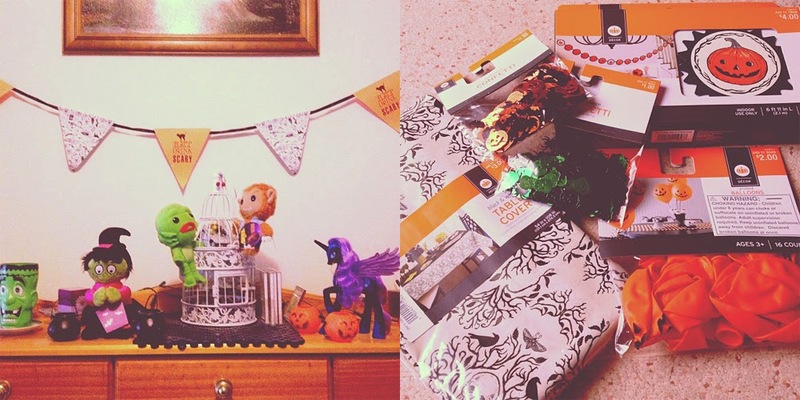 L: Halloween decorating; R: things with which to decorate. 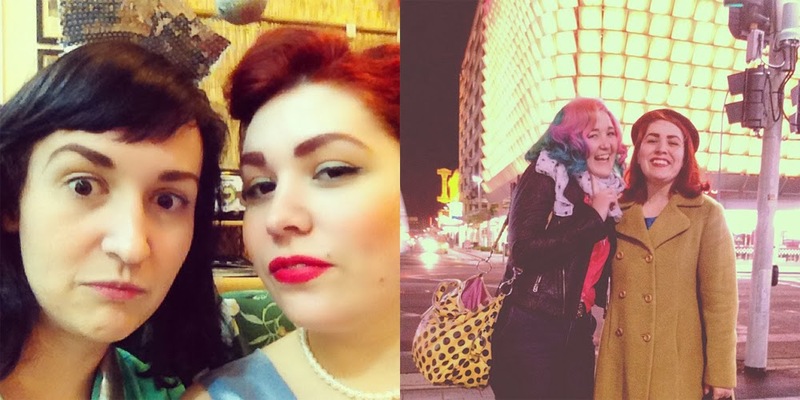 L: took Midge on an outing; R: wore a new dress. L: Halloween friends; R: farewell friends. 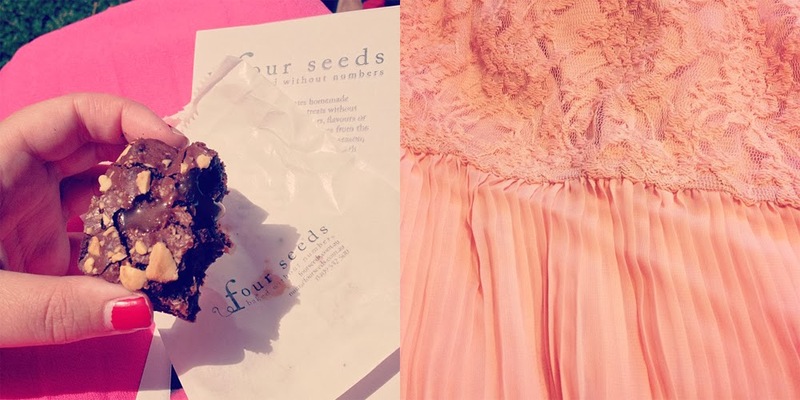 L: snickers brownie; R: another new dress. 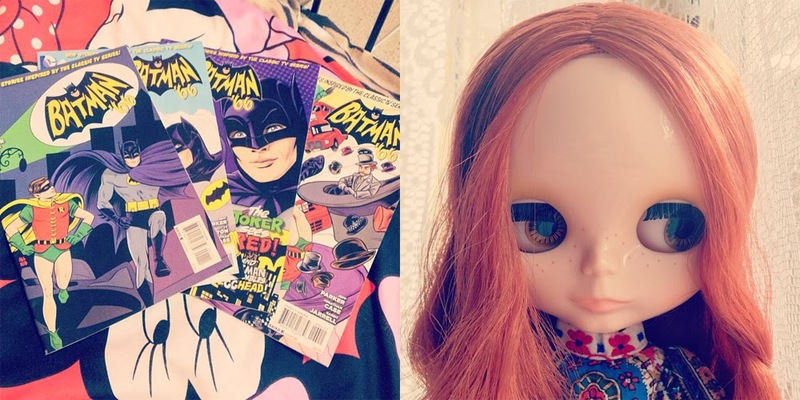 L: loving Batman '66; R: another new Blythe friend who I've named Dylan. 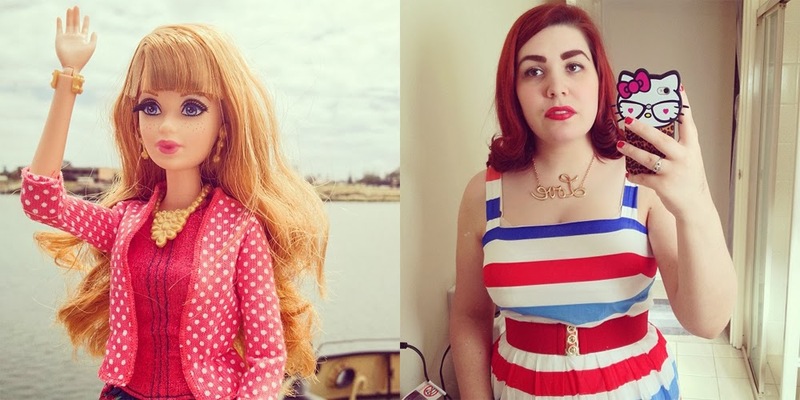 L: black, white, Peter Pan collar; R: all my vintage Barbies. Apologies for the sparse text in this post - I've only just remembered I was meant to post it and now I'm lost for words, so to speak. If you want to follow me on instagram, and don't already, I'm back to @andibgoode now that Halloween is over. 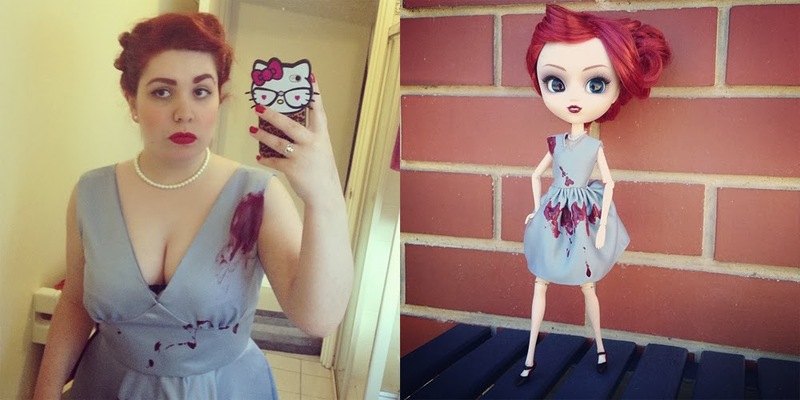 The coolness (and creativeness) factor of the matching costume for your darling Pullip is off the charts. You both looked very, very marvelous as Abaddon.